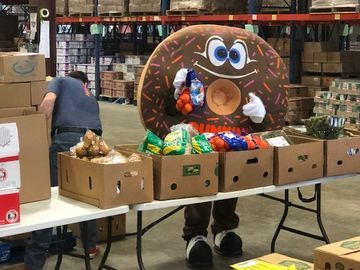 For hospital patients, spending an extended period of time in a hospital means being away from home and places like a kitchen, living room, or garden that bring comfort. For some patients post-treatment, these places do not function the same as they did before. Being wheelchair bound means kitchen counters and tables are out of reach and those lounge spaces aren’t as comfortable as they used to be. This makes bringing families and friends together more challenging than before. In an effort to ease stress and support the overall health and well-being of pediatric patients, Starlight Children’s Foundation and The Joy in Childhood Foundation® have worked together to create Starlight Sites. You might be wondering, what exactly is a Starlight Site? Starlight Sites bring joy to kids battling illness by transforming hospital spaces into bright, fun, kid-friendly spaces like playrooms, kitchens, teen lounges and gardens that help bring families and friends together while being suited to patient’s needs. Dave Hoffman, President of Dunkin’ Donuts U.S., joins Patient At the New Starlight Sight in La Rabida Children’s Hospital in Chicago. 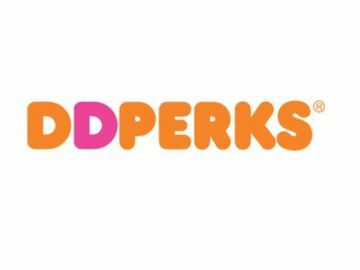 The Joy in Childhood Foundation, the charitable foundation supported by Dunkin’ Donuts and Baskin-Robbins, plans to bring joy to pediatric patients with a new commitment to create 10 Starlight Sites in children’s hospitals nationwide through their $1.5 million partnership with Starlight Children’s Foundation. 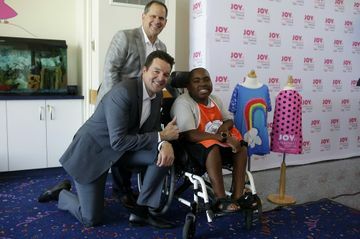 The Joy in Childhood Foundation announced this commitment on June 18th with the unveiling of the first Joy in Childhood Foundation Starlight Site at La Rabida Children’s Hospital in Chicago. This Chicago starlight site includes a pediatric therapy kitchen for patients and their families to learn to cook meals together! 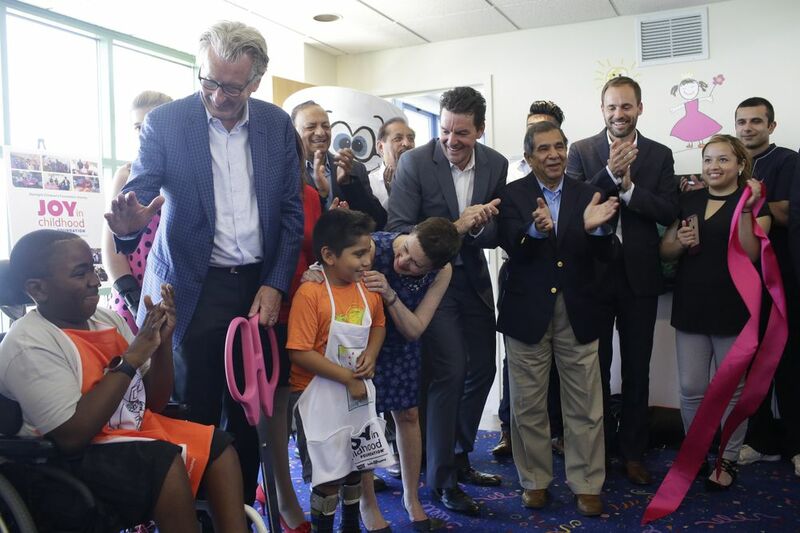 Dave Hoffman, President of Dunkin’ Donuts U.S., and Tony Weisman Chief Marketing Officer Joins Patient At the New Starlight Sight in La Rabida Children’s Hospital in Chicago. 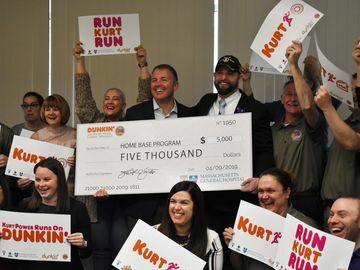 Dunkin’ Donuts and Baskin-Robbins franchisees, members of the local Dunkin’ Donuts team, and Alderman Raymond Lopez and Jeanine Robinson, Chief of Staff for State Representative Christian Mitchell, were all in attendance. Mayor Rahm Emanuel also issued a proclamation to declare June 18 a “Day of Joy” in Chicago. However, the stars of the show were three of Starlight and La Rabida’s all-star patients – Maddy, Alberto and Keith – who were able to show off the amazing aprons they designed in honor of the new kitchen and participated in a ribbon cutting ceremony. Maddy also did a cooking demonstration in the new kitchen for the attendees who later had the opportunity to sample her dessert.